Fifth Generation: Who is Li Keqiang? This is the sixth in a series of posts examining the Chinese leaders named to the Politburo Standing Committee during the 18th National Congress of the Chinese Communist Party (中国共产党) that concluded November 14. Prior installments on Zhang Gaoli here, Zhang Dejiang here, Liu Yunshan here, Yu Zhengsheng here and Wang Qishan here. 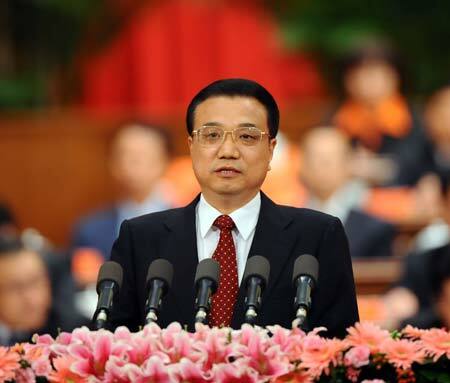 Unless something incredibly drastic happens in the coming months, Li Keqiang (李克强) seems likely to succeed Wen Jiabao (温家宝) as the premier of the government of the People’s Republic of China at the opening of the 12th People’s National Congress in March 2013. 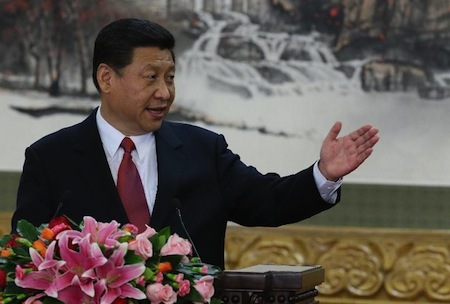 Along with China’s presumptive new ‘paramount leader,’ Xi Jinping (习近平), Li is one of just two of the previous nine members of the Politburo Standing Committee who remain on the committee after this week’s Congress, which concluded Wednesday. In addition to Xi and Li, five new members joined the committee (although all are over age 64, hardly making them ‘new’). After today, however, Li is essentially the second-most important government official in all of China, and he is expected to be a cautious reformer who’s keen on narrowing economic inequality in China and widening the social safety net. Li, as noted, has been a member of the Politburo Standing Committee since 2007 and he’s been the PRC’s executive vice premier since 2007 as well. He is also the youngest member, at age 57, on the committee. He was a Party secretary in Liaoning, a province of 43 million people, that borders North Korea, from 2004 to 2007, spearheading a campaign to revitalize China’s northeast. Previously, he served as the governor and the Party’s vice secretary of Henan province, China’s third most-populous province in the east-central heartland of the country with 94 million people, and one of the largest provincial economies in the country. Although Henan province’s economy grew during Li’s tenure (indeed, with an emphasis on agricultural modernization that saw rural growth exceed already-high levels of province-wide growth), he also presided over a mini-scandal involving the contamination of blood that may have infected up to one million people with HIV. A US diplomatic cable released by whistle-blowing website Wikileaks described Mr Li as “engaging and well-informed”. In a private conversation with the US ambassador in 2007, he called China’s economic figures “unreliable” and warned that official corruption was the biggest cause of public resentment, according to the leaked cables. That puts him at odds with Wen, whose family allegedly holds over $2.7 million assets, as reported in the past weeks by The New York Times. Hu’s speech kicking off the congress, too, emphasized the need to stem corruption in China’s official ranks. Unlike many of the newly appointed members of the Politburo Standing Committee who are protégés of former president Jiang Zemin (江泽民), however, Li is more a protégé of outgoing current president Hu Jintao (胡锦涛), whom he encountered in the leadership of the Party’s youth league in the 1980s. With Hu stepping back from active government, however, Li may have few natural allies with a relatively older and conservative group now comprising the Politburo Standing Committee. Based on his previous work and the populist policy agenda he shares with his mentor Hu Jintao, Li’s hot-button policy issues will include increasing employment, offering more affordable housing, providing basic health care, balancing regional development, and promoting innovation in clean energy technology. 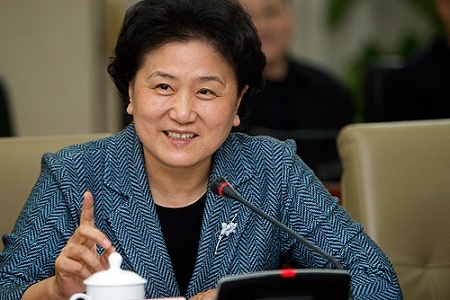 Interestingly, Li’s wife, Cheng Hong, is a professor of English language and literature in Beijing, and Li himself is fluent in English, just as fellow Politburo Standing Committee member Wang Qishan. Like Xi, he spent time during the Cultural Revolution working in rural China, on a farm, and like Xi, Li also has a doctorate — in Li’s case, in economics. Fifth Generation: Who is Wang Qishan? This is the fifth in a series of posts examining the Chinese leaders expected to be named to the Politburo Standing Committee during the 18th National Congress of the Chinese Communist Party (中国共产党) that kicked off November 8. Prior installments on Zhang Gaoli here, Zhang Dejiang here, Liu Yunshan here and Yu Zhengsheng here. Of all the potential new members of the Politburo Standing Committee, no one has a more assured spot than Wang Qishan (王岐山), who is expected to be the economic policy supremo of the next generation of leadership of the People’s Republic of China. The only question is whether he’ll be elevated to executive vice premier under the likely new PRC premier, Li Keqiang (李克强), which had seemed likelier earlier in the summer and autumn, but now seems more uncertain, according to party sources. The Congress concluded on Wednesday, with the Politburo Standing Committee members to be named today or tomorrow. Wang, age 64, has served as the vice premier for economic, energy and financial affairs since 2007, when he became a Politburo member as well. Previously, from 1989 to 1997, he was vice governor, then governor of the China Construction Bank, one of the world’s largest banks and indeed one of the world’s largest corporations. As vice governor of Guangdong province in 2007, he was instrumental in the liquidation of the Guangdong International Trust and Investment Company, which, according to Robert Lawrence Kuhn in How China’s Leaders Think, signaled to the world that China was serious about developing market mechanisms that could bring discipline to the financial sector. 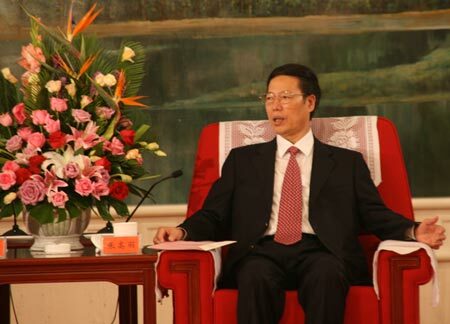 As such, he developed keen ties with former leader Jiang Zemin (江泽民), but his real patron among the older leadership is Jiang’s former premier, Zhu Ronghi (朱镕基), who, before his elevation to the premiership in 1998, served as vice premier and as the governor of China’s central bank (Wang served a brief stint as vice governor there as well). 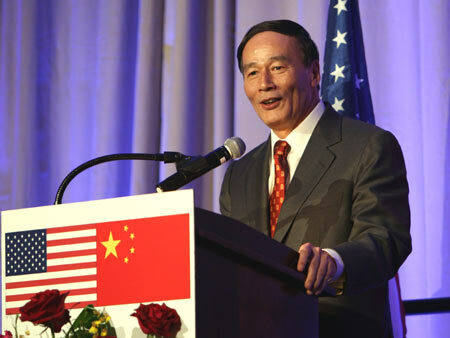 Wang served as the Party chairman of Hainan province — the tropical island at the south of the Chinese mainland that stylizes itself as China’s Hawaii — from 2002 to 2003. Hainan is, itself, an interesting story of Chinese internal growth — formerly part of Guangdong province until 1988, China’s leaders separated Hainan as its own province and designated it a ‘special economic area.’ Despite being seen as something of an economic backwater for centuries, its economy has grown in leaps and bounds, even by Chinese standards, in the past decade, and China hopes to transform it into an international tourism destination within the next decade. He thereupon served as the mayor of Beijing from 2003 to 2007 and handled much of the preparation for the city’s hosting of the 2008 Summer Olympics. Wang, perhaps more than Li, China’s current ‘paramount leader,’ president and Party general secretary Hu Jintao (胡锦涛) or the expected new Chinese leader, Xi Jinping (习近平), is at ease with the international media — check out his interview with U.S. secretary of state Tim Geithner and Charlie Rose. So Wang will likely have a major role to play in U.S. foreign relations as well, especially given the key economic issues involved in the U.S.-China relationship. Fifth Generation: Who is Liu Yunshan? This is the third in a series of posts examining the Chinese leaders expected to be named to the Politburo Standing Committee during the 18th National Congress of the Chinese Communist Party (中国共产党) that kicked off November 8. Prior installments on Zhang Gaoli here and Zhang Dejiang here. Liu Yunshun (刘云山), more than almost any other person in the People’s Republic of China, is responsible for the execution of the so-called ‘Great Firewall’ — that mix of controls that censors access to the Internet within China. Liu (pictured above), aged 65, has been a Politburo member since 2002, and since 2007, he been the director of the Party’s propaganda department, and so the PRC’s chief official responsible for propaganda and censorship. He’s vice chair of the Party’s splendidly euphemistic Central Guidance Commission for Building Spiritual Civilization, which essentially controls the Party’s propaganda department, currently chaired by outgoing Politburo Standing Committee member Li Changchun — Liu is expected to succeed Li upon his ascension to the Politburo Standing Committee as the PRC’s top ‘propaganda czar,’ where he is expected to continue the Party’s strict controls over media and Internet censorship. Fifth Generation: Who is Zhang Gaoli? 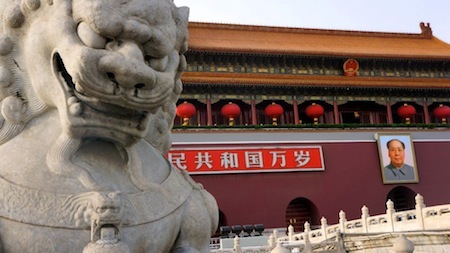 This is the first in a series of posts examining the Chinese leaders expected to be named to the Politburo Standing Committee during the 18th National Congress of the Chinese Communist Party (中国共产党) that kicked off November 8. 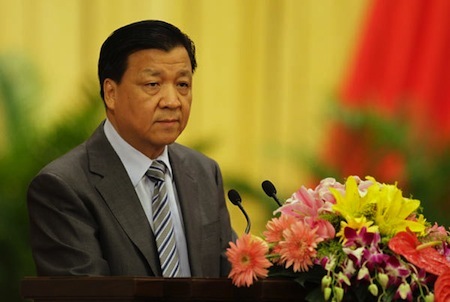 With the apparent finalization of the seven members (reduced from nine) of the new Politburo Standing Committee, it appears that Zhang Gaoli (张高丽) has made the cut, and indeed, Zhang typifies the ‘new’ faces of the so-called ‘fifth generation’ of China’s leadership — neither incredibly new nor incredibly liberal. Zhang, age 66, would be among the oldest of the Standing Committee’s new members and is a protégé of former president Jiang Zemin (江泽民). Although Zhang is expected to be a strong voice for continued economic reform, he’s not exactly a liberal reformer in the style of Wang Yang, the Party secretary in Guangdong who has been relatively lax about censorship and restrictions on political speech. What does stand out about Zhang’s record, though, is that he’s been at the forefront of China’s economic wave in three different positions in three urban hot spots on China’s eastern coast over the past 15 years — so much so that Zhang could emerge as the new executive vice premier, essentially the lead economics policymaker in China — it’s thought that he and Wang Qishan (王岐山) are in competition for the role. 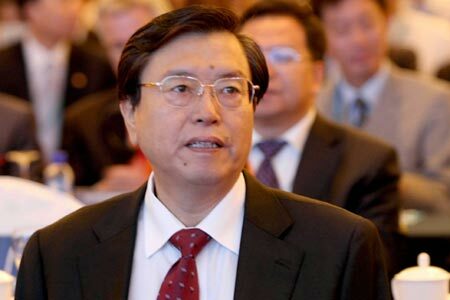 Currently, Zhang currently serves as the Party secretary in Tianjin municipality — along with Beijing, Shanghai and Chongqing, Tianjin is one of four municipalities that is essentially governed like China’s other provinces. Tianjin, just north of Beijing, has long been a key transportation hub on eastern China’s coast and, with 11.1 million people, China’s fourth largest city — to put it in perspective, Tianjin has just a handful more people than Chicago and New York combined. 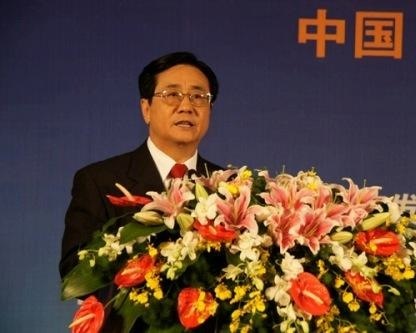 As Party secretary, Zhang has been instrumental in developing Tianjin’s Binhai New Area — a new economic zone along the coast that aims to replicate the Pudong New Area in Shanghai, and by all accounts, is succeeding at breakneck speed, and has already surpassed Pudong in terms of GDP. All this debt-fuelled investment in trophy projects has certainly resulted in rapid headline growth rates, and clearly it has boosted Zhang’s career. But how much of it will ever generate an economic return is doubtful. The handful of analysts who have examined Tianjin’s finances in detail warn of a massive bad debt explosion in the making…. As party boss in Tianjin, Zhang has proved himself an ardent proponent of China’s investment-at-all-costs growth trajectory. That is exactly the model economists say Beijing must now reject if it is to avoid the dreaded middle-income trap and sustain its development over the next 10 years. Unfortunately, if Zhang does indeed succeed to the economic policy hot-seat next week, it looks as if China’s chances of a successful rebalancing away from debt-funded investment and towards growth powered by private consumption will be severely diminished. 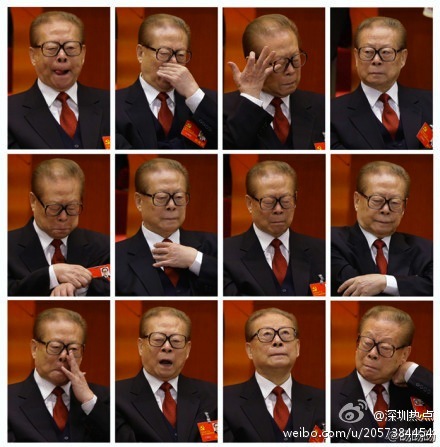 A humorous post on Weibo, China’s variant of Twitter, of various shots of former Chinese president Jiang Zemin nodding off — or otherwise looking quite somnolent at the 18th National People’s Congress of the Chinese Communist Party. The Congress kicked off earlier today in Beijing, and is expected to produce the elevation of Xi Jinping (习近平) to the position of general secretary of the Party as China’s current president and ‘paramount leader’ Hu Jintao (胡锦涛) transfers power to a new generation of leaders. 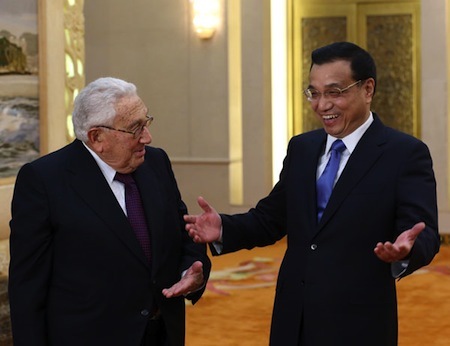 Notably, Hu’s predecessor, former president Jiang Zemin (江泽民) has emerged as a key political player, and he has influenced many of the expected new members of the Politburo Standing Committee that will essentially govern China for the next five years under Xi’s leadership. The post was removed from Weibo, of course. Despite a remarkably more open transfer of power, there are still limits on political expression in the People’s Republic. Next week, arguably the two most important countries in the world will kick off two very different leadership transitions. On Tuesday, November 6, the United States of America will hold a general election. For the 57th time since 1790, Americans will vote for U.S. president, at once the country’s head of state and head of government. The winner will most certainly be one of two men: the Democratic Party incumbent, former Illinois senator Barack Obama (pictured above, right) or the Republican Party challenger, former Massachusetts governor Willard ‘Mitt’ Romney. Americans will also determine who will control the both the lower and upper houses of the U.S. legislature.‡ The new Congress will be sworn in early in January 2013 and the president will be inaugurated (or reinaugurated) on January 20. On Thursday, November 8, the People’s Republic of China will watch as the 18th Congress of the Chinese Communist Party (中国共产党) gets underway in Beijing, where all but two of the members of the Politburo Standing Committee, China’s foremost governing body, will step down and new members will be appointed in a once-a-decade leadership transition. China’s ‘paramount leader’ Hu Jintao (pictured above, left), the general secretary of the Chinese Communist Party and PRC president since 2002, is expected to be replaced by Xi Jinping as general secretary, with the other state offices to follow through early 2013. China’s premier, Wen Jiabao, is expected to be replaced by Li Keqiang. 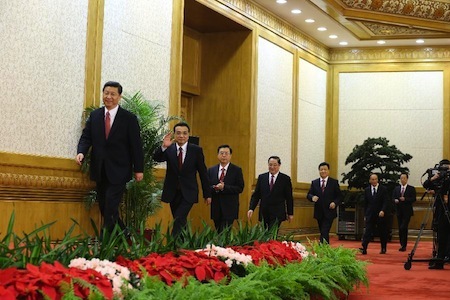 Otherwise, the Politburo Standing Committee is expected to be reduced from nine to seven members and will include Xi, Li and five new faces — generally known as the ‘fifth generation’ of China’s leadership. Despite their vastly different political systems, it’s fitting that the two transitions will coincide so neatly for the two most powerful countries in the world, both so alien culturally and interlinked economically — and there are parallels for both the superpower of the 20th century and a rising superpower of the 21st. For every ‘5,000 years of history,’ there’s a corresponding ‘shining city on a hill.’ The United States has George Washington, Thomas Jefferson and 1776; China has Mao Zedong, Zhou Enlai and 1949. The United States is the world’s third-most populous country with 315 million people, the third-largest country by land area, and the world’s largest economy with a GDP last year of over $15 trillion. China, meanwhile, is the world’s most populous country with 1.347 billion people, the second-largest country by land area, and the world’s second-largest economy with a GDP last year of $11.3 trillion. In 2012, if we don’t quite live in a bipolar world, we certainly live in a multipolar world where the United States and China are first among equals, and the U.S.-Chinese relationship will, of course, be a major focus of both governments over the next four years and beyond. 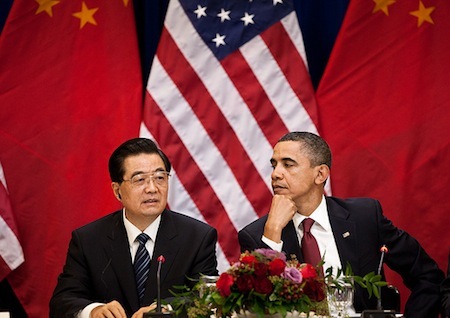 Indeed, Chinese relations have been an issue throughout the U.S. presidential election. China emerged, if not unscathed, certainly more economically powerful than ever before following the 2008-09 global financial crisis, and China may well have the world’s largest economy within the next decade. But the juggernaut of its double-digit economic growth, which has been fairly consistent throughout the past 20 years, is showing signs of sputtering, and a Chinese slowdown (or even a recession) would have a major impact upon the global economy. 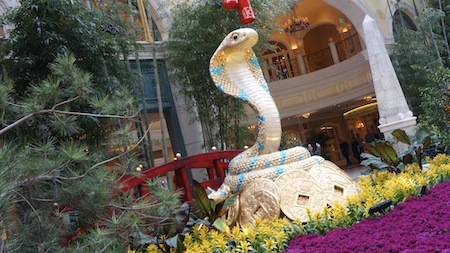 Romney has vociferously attacked China for manipulating its currency, the renminbi, to keep the cost of its exports low, and Obama’s treasury secretary Timothy Geithner has made similar, if more gentle, criticisms. Notably, however, the renminbi has appreciated about 8.5% since Obama took office in January 2009, chiefly because the Chinese government has hoped to cool inflationary pressure. The level of U.S. debt held by the Chinese government has also become an important issue, especially with the U.S. budget deficit at its highest level (as a percentage of GDP) since World War II. China, however, holds only about $1.132 trillion out of a total of around $15 trillion in U.S. debt, which is down from its high of around $1.17 trillion in 2011 — meanwhile, Japan has accelerated its acquisition of U.S. debt and may soon hold more than China. The outsourcing of jobs previously filled in the United States has long been an issue across the ideological spectrum of U.S. domestic politics, with respect to China and other Asian countries. In reality, however, other issues are just as likely to dominate the next generation of Chinese and American leadership. With both militaries looking to dominate the Pacific (note the growing U.S. naval presence in the Philippines and throughout the Pacific), geopolitical stability throughout the region will be more important than ever — not just the perennial issue of Taiwan, but growing concerns about North Korea’s autarkic regime, tensions between China and Japan over territorial claims or other future hotspots could all spur wider crises. As China’s middle class grows in size and purchasing power, and as the United States continues to boost its exports, China will become an increasingly important market for U.S. technology, entertainment and energy in the next two decades. China’s accession to the World Trade Organization in 2001 and its increasing role as a trading partner with the United States mean that trade-related issues — such as the case that the United States brought against China in the WTO last month on cars and auto parts — will only become more important. But while the U.S. federalist constitutional structure — with its tripartite separation of powers — has been set in place since the adoption of its Constitution in 1787, the Chinese structure is a more recent creation. The Chinese Communist Party holds a National Congress every five years, with a handover of power every ten years, vesting power in a collaborative Politburo Standing Committee that makes all key policy-making decisions, a process that came into being only really with the passing of Deng Xiaoping in the 1990s. After Deng, Jiang Zemin and the so-called ‘third generation’ of China’s political leadership essentially regularized the current process, and the ‘fourth generation’ led by Hu and Wen that assumed leadership in 2002 and 2003 is now set to pass leadership on to the ‘fifth generation’ under Xi and Li.